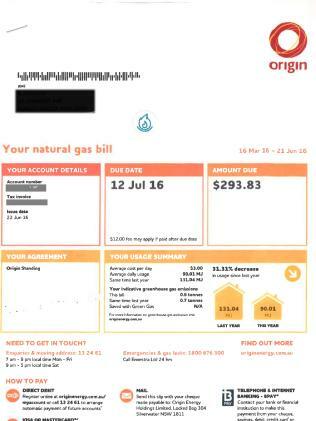 WHEN Lucy* got a gas bill for $819 she couldn't believe her eyes - it was almost 180 per cent higher than last year, jumping from $293. Lucy's bill showed her gas usage during the same time last year had jumped 150 per cent from 90.01 MJ to 351.75 MJ. But the Wagga Wagga resident found this unbelievable as during this period her sister had been on holidays for five weeks and not living in the house. Lucy had also been getting dinner supplied elsewhere and was not cooking at home much so her usage should have dropped. She told news.com.au she contacted Origin after receiving the inflated bill and was told it was based on an estimated reading. Gas companies have been under fire for basing bills on estimates - which are used generally when meter readers can't access the meter - but which has left some customers facing shock bills and year-long disputes to sort out. In Lucy's case she was able to dispute the bill and managed to get it reduced to $456. While this almost halved the original charges, it was still 55 per cent higher than her previous June invoice. When Lucy rang back again to query the price, she said the operator "got uppity" and wasn't very nice or helpful. "She said 'how do we know you didn't have 10 people staying with you?' and 'how do you know that when (the meter) was read previously, it was read properly?'. Lucy's query was brushed off and she was told to contact the wholesaler if she wanted to dispute the reading. When she threatened to report Origin to the Energy and Water Ombudsman NSW, she was warned against the consequences. "(Origin's) attitude was if I took it to (the Ombudsman), they couldn't help me anymore," she said. "So a couple of them were quite rude and condescending." When Lucy contacted the wholesaler AGL, she was referred back to Origin, as the wholesaler said the meter reading was not their responsibility. "They wouldn't tell me who the distributor was in Wagga Wagga who did the reading," she said. 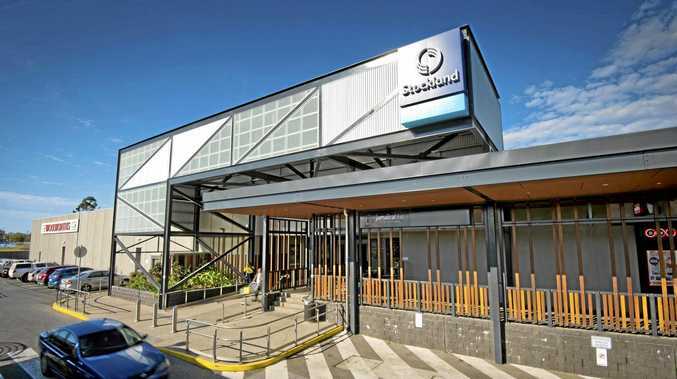 The company that manages the NSW gas distribution network, Jemena, has been blamed for the failure to provide timely meter readings, with gas retailer AGL launching Supreme Court proceedings against the company in May. Jemena has defended its record, saying it had improved its rate of meter readings since last year. Lucy's previous bill showed a 31 per cent decrease in usage, so if this was also an estimated reading, it may explain why there was such a big jump this year. While she has been told her meter reading was eventually done, she still can't believe her bill increased so much. The revised bill still showed her gas consumption had risen by 97 per cent compared to last year. It's provided a nasty hit to Lucy's budget but she had no option but to pay the $456 bill. "I'm 55 years old, I don't have a well paid job so the bill - that's a big shock - and there was no apology whatsoever," she said. There could be more pain on the way with Origin, EnergyAustralia and AGL all announcing price increases from July 1. The price hikes are hitting colder areas particularly hard, with one Canberra resident telling news.com.au that he would be installing a wood fire heater after receiving a $2000 gas bill last year, and being informed of a 17 per cent increase in prices from July 1. NSW Minister for Resources and Energy Don Harwin said the NSW Government had a number of emergency programs available for those experiencing energy bill stress. This includes the Energy Accounts Payment Assistance scheme and the NSW Gas Rebate, both which offer customers assistance to pay their bills. "Customers suffering bill stress are urged to call Service NSW on 13 77 88 to find out what government assistance is available to them," Mr Harwin said. Families can also search for the cheapest contracts by going to the Australian Government comparison site energymadeeasy.gov.au. Power prices have been rising following the closure of large coal-fired power stations, as well as increased demand for gas for export. 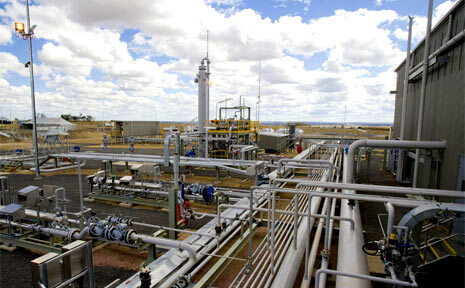 The federal government has called on the states to relax restrictions on gas development and has announced export measures to keep more gas in Australia but these won't take effect until January 1. The Australian Competition and Consumer Commission is also conducting an inquiry into how to get more gas into the market and to improve transparency about prices by providing regular information over the next three years. The rising price of gas is also driving electricity prices higher and ACCC chairman Rod Sims said Australia had "major problems" with energy affordability that was "causing a lot of harm to households". "We've seen prices over the last 10 years go up by 60 to 90 per cent above inflation," he said.